Open the hidden code to your favorite stories, while learning the key elements that create a solid and lasting narrative. Hundreds and hundreds of unique story structures. Updated every week. Film. Television series. Novels. 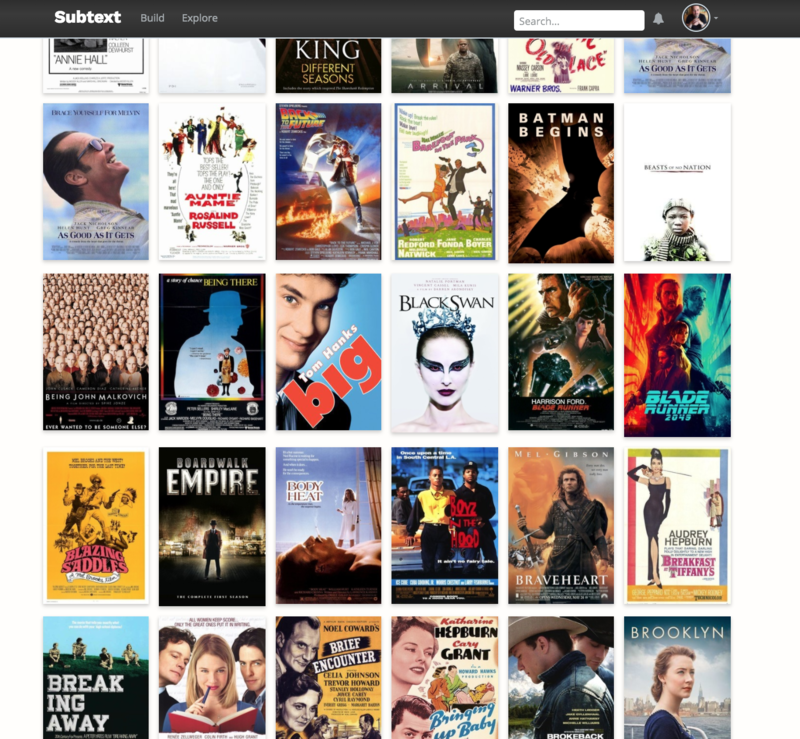 Timeless plays and Animated Features. Structure is not based on medium, it's a result of our psychology. 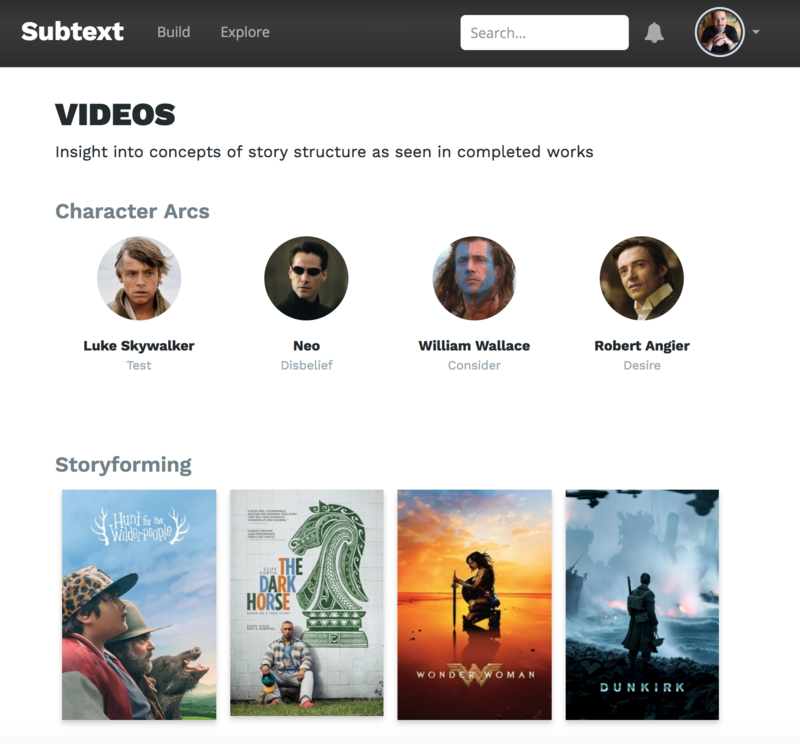 See all 430+ story structures available to you. Weekly meetings provide subscribers with the opportunity to speak with a story structure expert directly. 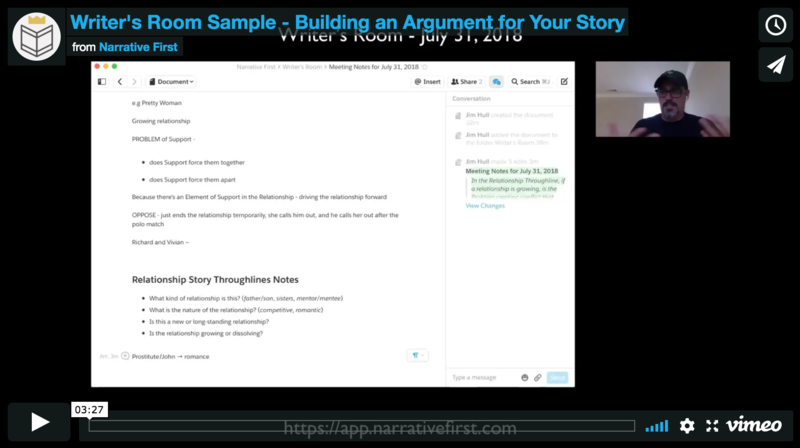 Learn everything there is to know about building a Narrative Argument and how a better understanding of psychology can lead to a stronger, more meaningful story. Meetings are recorded and archived for later viewing. Forget all you know about cultural mythos and remixes. Effective story structure mimics the mind's problem-solving process. End of line. Visualizations of key Throughlines bridge the gap between story theory and writer. 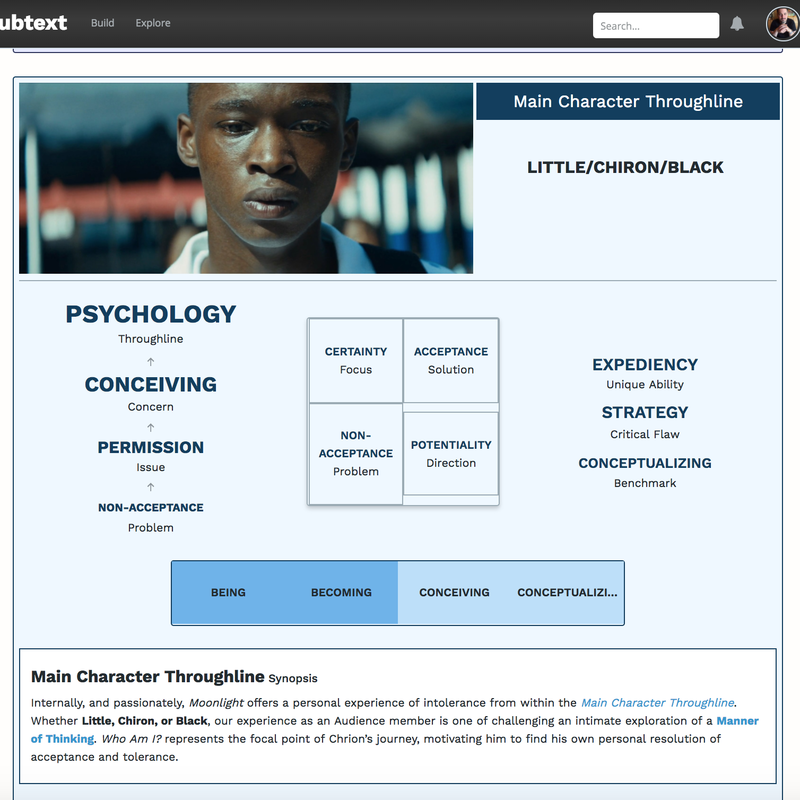 Competing character perspectives frame the narrative argument of a complete and functioning story. Dig into the deep psychological justifications that motivate your characters. Scattermaps of story structure throughout the decades. Measure audience reception. Critical response. And box office gross. 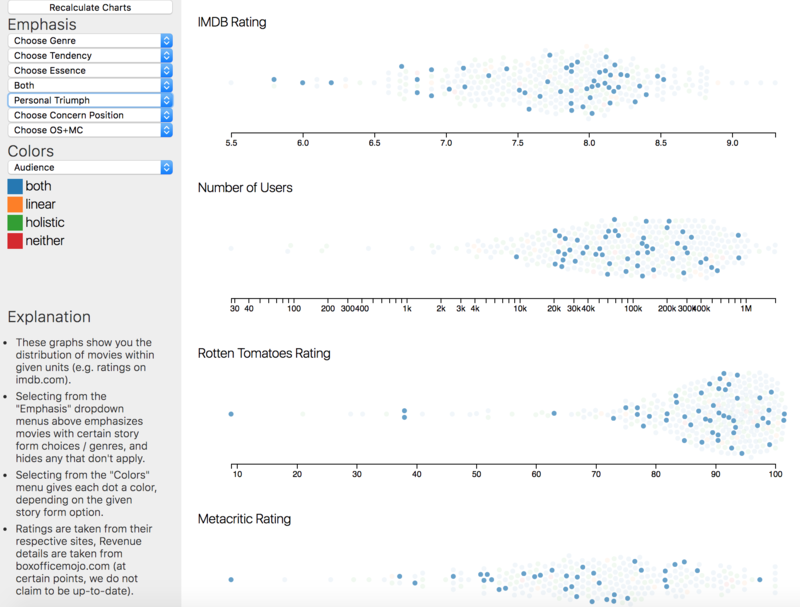 Plot trends and make predictions how your story will perform in the years to come. Every complete story seeks to deliver an understanding of how to best approach the problems in our lives. Understand the deeper meaning behind every great narrative. 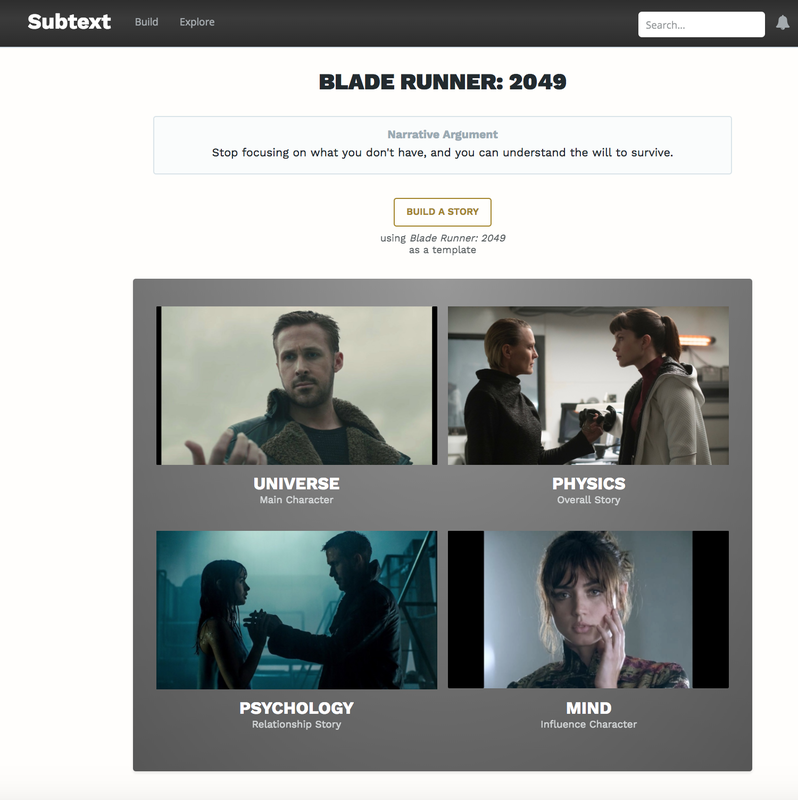 See examples of story structure in action. Make connections between those underlying elements that drive conflict and understand how they motivate character growth. 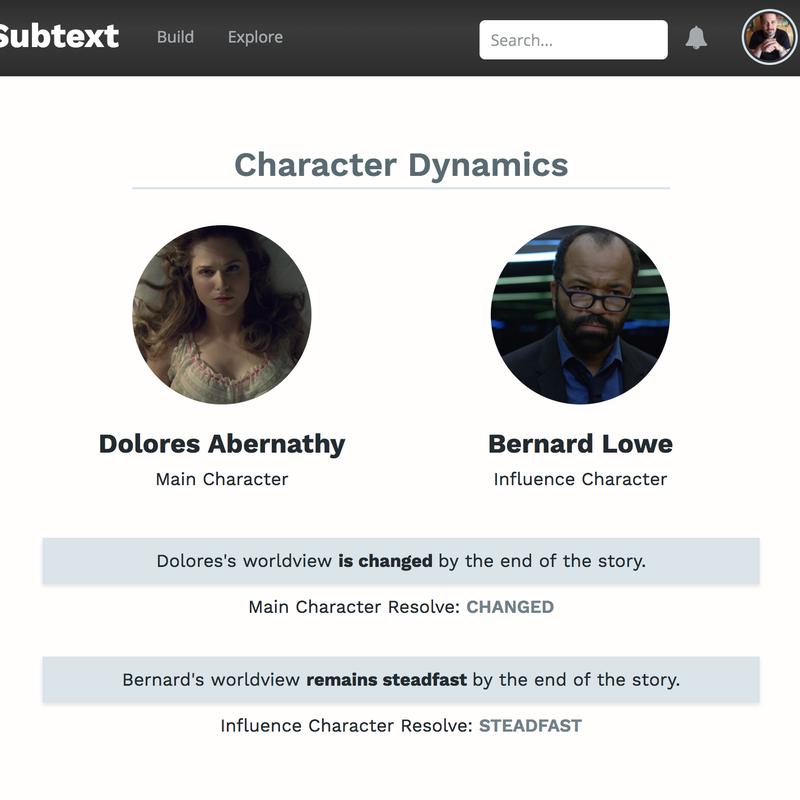 Infuse your next story with Subtext.